What do you think about working from your laptop, from home or from a nice and cozy place and earn $50/hour? It could this be a dream come true? Well, I have news for you: this could happen. 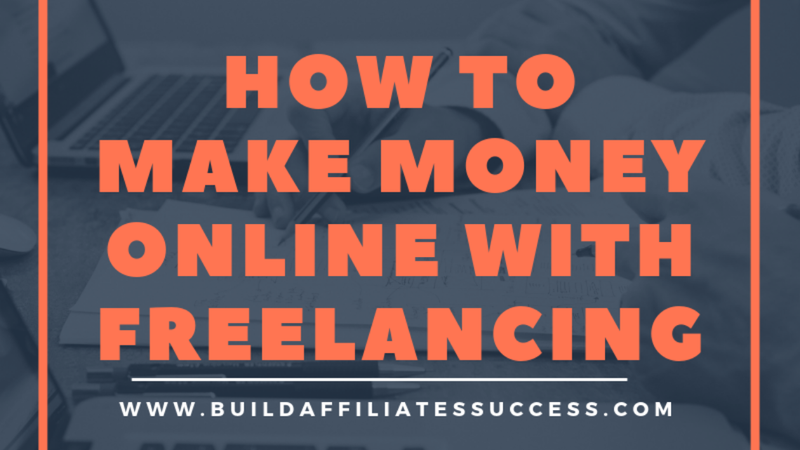 I am pretty sure that you heard about freelancing, but probably you will ask me: but, how to make money online with freelancing? OK, I will detail in today’s article. The freelancing industry just boomed in the last years, and many, including me, adopt this working style because it’s convenient and profitable. If you ask other freelancers and me, I can tell you that I’m happy that I replaced the ‘9 to 5’ job for a more flexible schedule and I have time to do my personal things as well. As a freelancer, you work when you want, you decide how many hours and for whom you want to work, you can choose your client. You only have to deliver the projects on time, in the budget and let’s don’t forget with quality. If you are happy with a client and you want to collaborate for future projects, the 3 mentioned aspects should be rules for you. Never know when your client could recommend you to another client which means more money for you. If you check the current market and trend, in the next years, most of the jobs will be done by freelancers. A freelancer can earn more than a full-time employee. The hourly price varies based on your competences. Lately, I’ve noticed that the two roles are mixed. I have friends who work as consultants, but they are freelancers. A freelancer is a person who’s self-employed, having a statuary form. You can work directly with a client, or there is the case when freelancers are represented by a company. If you ask why I’m happy to clarify. For bigger projects on big companies or administrative companies, you, as a freelancer cannot work directly with these companies because you are not eligible based on the tender contracts. You have to sign a contract of collaboration with a company which will represent you, and this company will resell you to their clients. Well, it doesn’t sound too well, right? But, even in this form, there are advantages as disadvantages. In short, you are bound to a contract, in case you break it, there will be legal implications; no paid holidays or sick leave; you must pay your taxes; you can negotiate your rate, but you are paid by the collaboration company, so you lose up to 30% from the initial rate (the rate which the client will pay to the company which will represent you); you are like an employee. As far as I can see, there is only one advantage: the rate, you will not get a higher rate if you work as an independent consultant. Some clients require to work on their premises some only remote work, BUT there are cases where the paid rate is not the same for the two cases. I’ve noticed lately that remote work, in this type of contract, is paid with a much lower rate compared with the work inside premises. Depending on the industry, the paid rate will vary. Of course that your skills and experience have a great contribution when deciding the rate. The consultants are professionals who should provide services based on their expertise. A consultant is an expert on his/her in a specific field. There are two types of consultants: internal and external. During my professional experience, I’ve worked as an internal consultant on the client premises. The external consultant is employed by the client, but externally, as a consultancy company. It’s like the outsourcing of a department (usually IT), and the client has a contract with the outsourced company. If you are interested and want to find more in this subject, please consult Wikipedia for more detailed definitions. I made a detour, but let’s go back to our subject. There are some steps required for you before starting freelancing. 1. Create a personal profile – it’s the most important step. Invest as much time as possible to create your profile and update it when it’s the case. Your profile should include your experience and skills. 2. Create a unique application for each offer; what I mean is: don’t copy/paste the same email for each project you apply. From project to project, the requirements are different. Update the offer based on the requirements and try to convince that you are the right person for the job. 3. Build your brand – your picture and your price will speak for you. If you set a lower price only to get projects, trust me, it’s not a good strategy. The rate established by you should reflect the real you, learn to value yourself. Don’t get on the other side to set a higher rate, don’t overestimate. 4. Build your portfolio – write down all the projects you worked on and attach them to your profile. 5. Build a relationship with each client – keep the communication level with your client, be available when you two established a meeting, be responsive and build trust. 6. Don’t choose the projects based on price – at the beginning, you can accept jobs paid less, you will add up projects next to your profile. 7. Respect the deadlines – offer the best services. If you think that the work takes more than it was estimated, try to finish in time, ask for your friends help, but deliver in time and with quality. Currently, there are many freelancing platforms, and you have to choose based on your expertise. I think this is the most exclusive network of freelancers, only the top 3% freelancers are accepted in this community. The screening process is tough to identify the best freelancers. The first step, language, and personality consist of an interview where the candidates are checked for their knowledge in reading, writing and speaking English. Also, personality tests are conducted in this phase with the scope of discovering the passionate candidates about their work. According to Toptal, only 26.4% of candidates pass this step. The second step, skills review where technical knowledge are checked based on some assessments. According to Toptal, only 7.4% of candidates pass this step. Step three, the live screening where each candidate is screened in their fields by experts. According to Toptal, only 3.6% of candidates pass this step. In step four, each candidate is assigned to a test project with real-world scenarios. According to Toptal, only 3.2% of candidates pass this step. The last step, continued excellence requires as each candidate to keep a record of their work with each client. According to Toptal, only 3.0% of candidates pass this step. You can join Toptal for meetups and tech events. Previously oDesk, the platform has 1.5 million clients and offer short and long projects, hour or project work, from entry level to expert level. You create an account on this platform as I mentioned earlier in the article. To apply for a project, do a search of projects based on your expertise and submit a job proposal. The project’s categories are logo design, WordPress, website development, mobile applications, SEO and content writing. The process is very simple, People Per Hour will connect clients to experts freelancers who are available and will be hired by the hour or project. The freelancer can send 15 proposals for free before signing up for a paid plan, but the projects can be searched without any cost. If you are a designer, SEO guru, web developer, you should consider people per hour and check it out. Another freelance services platform for digital services which is somehow opposite to the traditional freelancing platforms. Freelancers create their job based on their skills and expertise. The freelancer will advertise their services to companies, and you will put their gigs into categories. The freelancers will have a starting project price of $5. I think, this is the old freelancing platform I can remember. This is the platform which I start my freelancing journey. There are millions of jobs posted and freelancers’ accounts up to now. The most popular skills freelancers have are PHP, graphic design, web design, MSQL, and content writing. There are many other freelancing platforms out there, I just mentioned the ones which I used. Ready To Monetize Your Expertise? All the platforms mentioned above work for sure, I also used them, but since I discover Wealthy Affiliate and start building my own online business. Do you think freelancing is not for you? Why not start creating your business instead? You can work for you and dedicate all energy and talent to your business. Click The Button And Take Action! Check Wealthy Affiliate Now!